we wanted to help you celebrate this special holiday! Our first act is gifting you 25% OFF everything in our store! Take an additional 25% OFF the lowest prices below. Just use coupon code “KIND17” at checkout. "I love this product! My skin looks and feels wonderful. I also love the fragrance. I will never use a skin care product from any major commercial skin care company again. Stick with a natural product like this one that certaily delivers! BTW...I'll be 67 in 3 weeks and no one believes my age." "Excellent product. I was looking for a pure, organic Vitamin E oil with NO soybean oil. 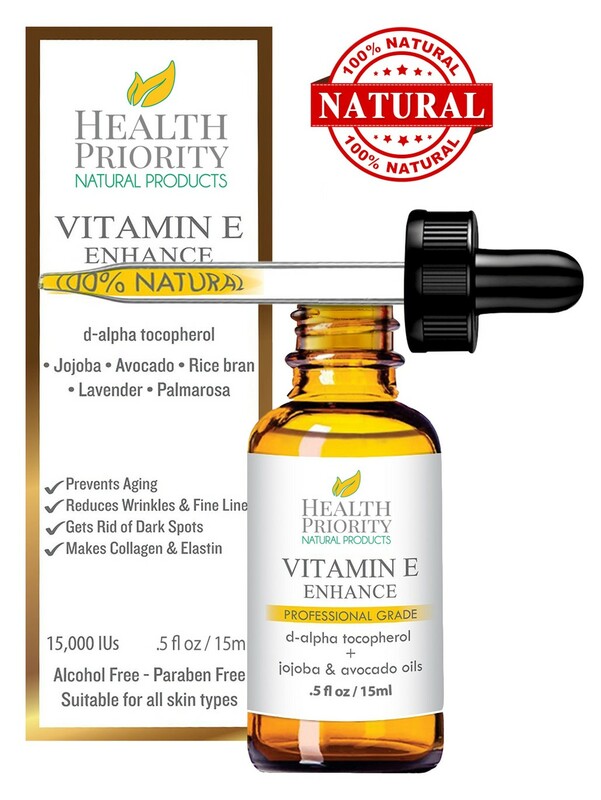 This Vitamin E oil is all natural with very few ingredients. And what is in the bottle is all good! I wanted this to diminish the look of a large scar from a recent surgery and I actually noticed a difference after using it just once..."
"I absolutely love this stuff! I am prone to acne so I was worried that it would break my skin out but it has done the opposite! My skin has been clear and beautiful! So far it has eased my fine lines." "I purchased this product after using an entire bottle of Jason's and deciding I wanted a natural, organic product instead. I have been utterly wowed by the results!" © Copyright. Health Priority Natural Products. All rights reserved.